UK Prime Minister Theresa May said on Wednesday the delay to Article 50 is a "great personal regret" and that "it is now time for MPs to decide" the next steps of Brexit. 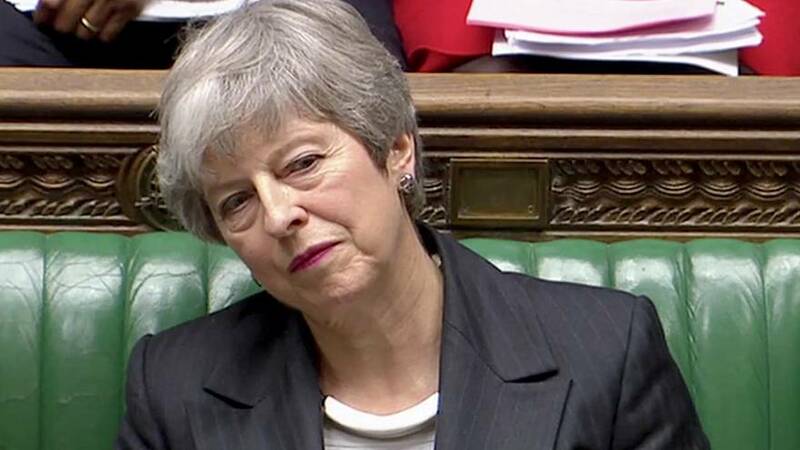 In her statement, May said she was on the public's side and appeared to blame ministers, in saying people were "tired of political games" and it was "high time" MPs made a decision. May said MPs will now have to decide if they want to back her Brexit deal, leave the bloc with no-deal, or not leave at all, adding that all MPs have done is "say what they don't want". She reiterated she was "not prepared to delay Brexit any further than the 30th of June". Watch May's full statement in the player above. The UK is set to leave the EU with or without a deal on March 29 but earlier on Wednesday, Prime Minister Theresa May wrote a letter to EU Council President Donald Tusk requesting to delay Brexit until 30 June. Donald Tusk responded by saying a short extension would be possible but only if UK MPs sign off on May's deal by next week. MPs have rejected the Brexit agreement twice and there is doubt over whether she will be able to ask parliament to vote again. In a letter, leaked to the Daily Telegraph newspaper, Whitehall officials confirmed the UK government is set to fully implement its planning for a no-deal Brexit, called Operation Yellowhammer, next Monday because no delay to the scheduled departure of March 29 will have been agreed in time. READ MORE: What’s in Theresa May's Brexit deal and why is it so unpopular? Earlier, Keir Starmer, Labour's shadow Brexit secretary, said the most important thing to do now was to "take time to find the purpose of the extension and what a majority can get behind". He added that what must not happen is that May uses up the next three months to continue with her the strategy of "my deal or no deal" to try and force her withdrawal agreement through — he called this a “blinkered approach”. Her deal "loses all credibility" every time the process of voting on it is repeated, he said. Starmer said that instead, she should use an extension to provide parliamentary time for the house to agree on a different approach to Brexit and move forward. "A public vote with credible leave and remain options" was what the extension should be about, he added. Brexit Secretary Stephen Barclay responded by saying: "The house has spent a lot of time talking about Brexit but not a lot of time deciding." He shot down Labour's plans for an alternative deal as "simply not credible". Not acting on the decision of the people on Brexit would be "damaging to the UK's reputation around the world," according to Barclay. READ MORE: Brexit Guide: where are we now? Both no Brexit and a no deal Brexit are "undesirable" outcomes, he said — while no Brexit would be damaging to the UK's credibly, a no-deal scenario would be damaging to the economy. He added that there are three options: no Brexit, no-deal, or to support May's deal. Barclay concluded that the government should proceed by supporting the prime minister's withdrawal agreement.